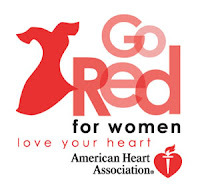 In honor of it being Go Red for Women Day - I'd like to make Donna's answers post in red today... I know it sort of clashes with the blog color scheme and the image for this post feature - but roll with if for today, please. I can't remember exactly how I found Kim, or if she found me! I know it was because we both had RNY at the same hospital, and even share the same PCP. I believe we "virtually" met right before she had her surgery. I had a very brief chance to meet Kim in "real life" in a Whole Foods parking lot, and she is just as nice in person as you read in her blog. I am a 42 years year old, full-time working Wife, Mom, sometime student and triathlete. My Husband, Darren, and I have been together for almost 12 years and we have a 5 year old Daughter, Cassie. My Husband is an engineer with Boeing and my 5 year old, is every bit of a girlie-girl! Both of them make me want to be a better than I was the day before. Our families live in New Jersey (my family) and Alabama (his family), so we are loners here in Houston when it comes to family, but we are blessed with a group of exceptional friends. I've been in technology for 20 years and currently serve as IT Manager with a distribution company, but it's not my passion. I'm coming to a cross-roads in my career; trying to decide what I want to be as I grow up! It's an exciting time for me right now because for the first time I have some clarity and am nearly certain of the direction I want to proceed. I have spent nearly all my life overweight reaching an all-time high of 347 lbs. In spite of my weight I was always active, but terribly unhealthy living morbidly obese. 4 years ago I suffered with sleep apnea and was an insulin dependent Diabetic, along with a host of other ailments; 3 years ago I chose to have Gastric Bypass, which corrected both major disorders for me. I am extremely lucky in that I haven't experienced complications, but I attribute that to my surgeon, support and the fact I'm a rule-follower. Other than being diagnosed hypo-thyroid in the last year, I am leading my life keeping busy doing the very things I don't want to regret not having done 20 years from now. I have a passion for triathlon and my ultimate goal is to one day complete an Ironman... I'm working my way there slowly, training for my first Olympic distance triathlon in April 2010. Generally I write about my training, my post-op life, learning about and dealing with hypo-thyroidism and whatever mental acrobatics may be happening inside my noggin. I really believe it is important to get to the source of what caused me to become so overweight, deal with it and move forward -- unfortunately it's a slow process. I also enjoy finding bits and pieces of motivation and things that inspire me or others to believe that they can do anything they want, they just have to 1) Believe you can, and 2) Start with something/anything... even if it's just a walk around the block. I also like sharing about things I find; athletic apparel, recipes, things I've made and itneresting pepole I find on the I'net. I guess if someone were looking to find a blog of a real life person, attempting to do some challenging things... things that against the expected odds, then I'm your subject-matter. If for a moment you think you can't do something because it's too hard, or takes too much commitment, I'm the one that will hopefully show you anything is possible. There you have it... seriously, go check her out! I have something for you at my blog! I have been looking for a good book to help me with my diet. In the end I googled it and found this site http://www.hungryforweightloss.com.